Christmas – a time for giving gifts, eating and drinking and inviting friends and family around to celebrate. 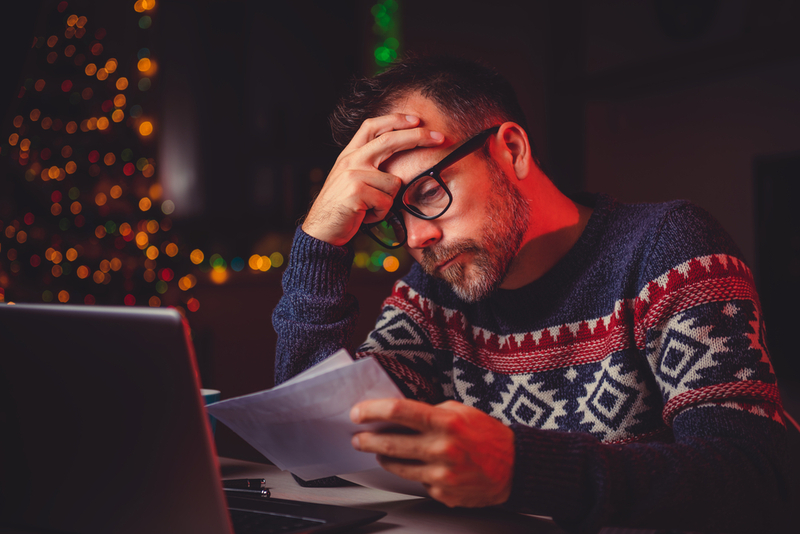 But if you’re already facing a personal debt problem, or your business is suffering from cash flow issues, then you may not feel like celebrating; you may be worrying that Christmas is just going to make your problem worse as you do your best to make sure your family has a good Christmas. There’s a temptation to pile everything onto the credit card and deal with it later, but if you were planning to sort out your debt problems in 2019, then this would not be the ideal start to the New Year. The simply truth is that we spend more at Christmas than usual, on presents, food and drink, travel, decorations etc. Bank of England figures show that in December we typically spend 20% more on food and 30% more on alcohol than in any other month. According to a survey by uSwitch, 19% of those asked spent beyond their means over the festive period and 9% admitting that they did so because of “peer pressure”, keeping up with family members and friends. Black Friday and the January Sales don’t help either. If this sounds familiar, then you’re not alone. According to a National Debtline survey in 2016, five million people in the UK worry about paying for Christmas, with around one million people actually lose sleep over it. And here’s one for next year: start saving for Christmas 2019 this summer. You will find better prices and spread the cost out. You will be surprised by the amount of understanding there is, and you will start to see a way out of your problem. Everyone at James Rosa Associates wishes you all a happy festive season free from debt worry, but if you think you need to talk to us about unmanageable debt or bringing a dispute to a swift and cost-effective resolution, then contact us without delay. Our debt advisors and debt adjusters are supportive and friendly, helping individuals and business owners/directors to reach swift and cost-effective resolutions to unmanageable debt problems, civil or commercial disputes. James Rosa Associates are authorised and regulated by the Financial Conduct Authority (FRN665061) to work with clients to produce bespoke solutions to fit their specific circumstances. You may be eligible for a free consultation so ring us on 0845 6807217 or email enquiries@jamesrosa.co.uk and we’ll explore how we can help you tackle your debt problems and have a happier New Year. Whether you’re facing increasingly unmanageable personal debt or your business has a serious cash flow problem, the impact of debt can reach far beyond your financial world. Debt affects your wellbeing, peace of mind, family life and relationships and in the run-up to Christmas, it can make you feel particularly lonely as you watch the rest of the world gearing up for a holiday spending spree. That’s why it’s so important to come to grips with the problem. I know what it’s like when debts become too much and I know it’s tough to start taking the actions needed to deal with it. That’s why I want to share some tips on how you can start to get to grips with the problem. It’s not easy to do but there is a lot of support and help waiting for you, both from friends and family and from professional organisations. If you’re reading this post because you realise it’s relevant to you then well done, you’ve taken the first step already. At Christmas it’s tempting to hide a debt problem with more spending on a credit card but by acknowledging your debt is now a problem, you’ve taken a crucial step to getting yourself out of trouble and enjoying a better New Year. Now you’ve acknowledged your problem, you need to get a measure of its extent. Work out exactly how much you owe, how much interest you have to pay and at what rates. Only when you get a true idea of the scale of your problem can you take action to deal with it. It’s difficult to talk to someone else about what feels like an embarrassing personal issue but I believe the people it affects have a right to know and you may find a lot more support than you think from friends and family. 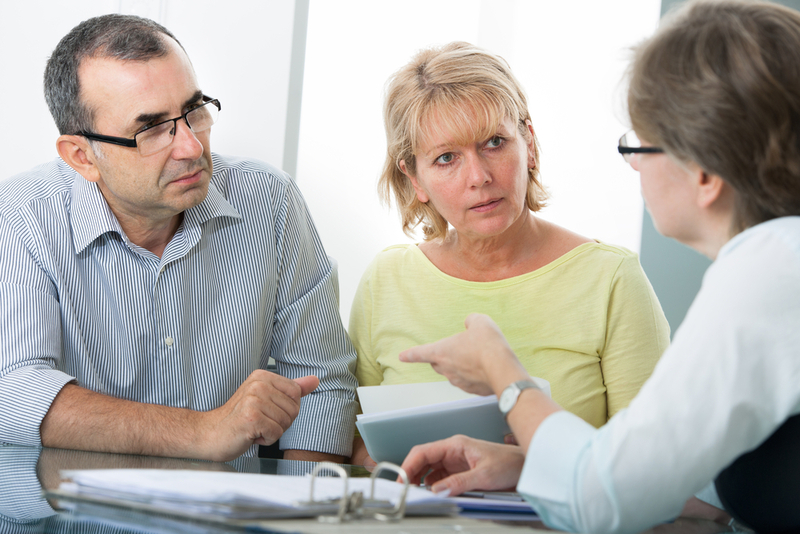 You may also need some expert advice on debt planning or reconstruction from people who have seen your problem many times before. And don’t forget your health and wellbeing. Your GP can help with the mental and medical side effects of debt. When you have a clear idea about your level of debt break it down into priority and non-priority debts to identify which to clear first, specifically debts that lead to serious consequences such as a fine or repossession of your home. From a business perspective, priority debts may include VAT, major suppliers, business mortgages. Personal priority debts include mortgage, utility bills or council tax. I won’t promise that getting out of debt is easy. You will have to make sacrifices but it is worth it, for the sake of your health, relationships and business. Once you understand the size of your debts, your priorities and how quickly you can realistically pay them off, make a plan and stick to it. Your plan goes hand in hand with your budget, and in the long term it will help you to maximise your chance of avoiding being in debt again. James Rosa Associates is a firm of debt advisors and debt adjusters with a reputation for excellence and integrity. Our supportive and friendly approach helps individuals and business owners/directors to reach swift and cost-effective resolutions to unmanageable debt and civil or commercial disputes. We are authorised and regulated by the Financial Conduct Authority (FRN665061) to work with clients to produce bespoke solutions to fit their specific circumstances. If you want to deal with an unmanageable debt, or bring a dispute to a swift and cost-effective resolution, contact James Rosa Associates, ring 0845 6807217 or email enquiries@jamesrosa.co.uk to explore whether you qualify for a consultation.